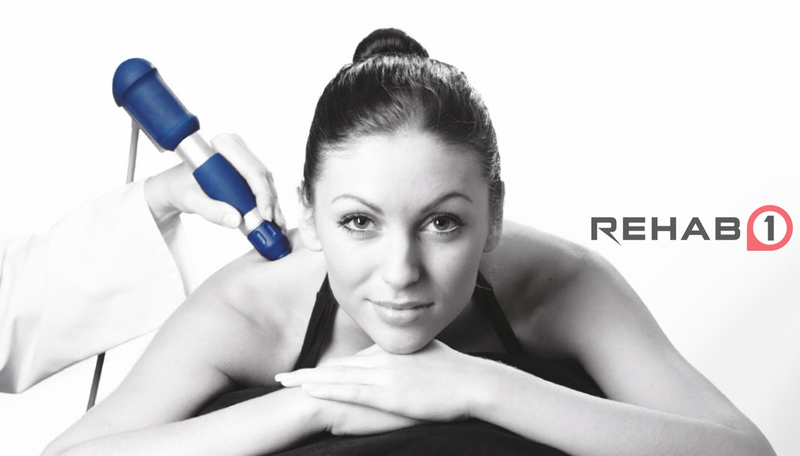 In the past 5 or more years, shockwave therapy has become increasingly more popular! Mainly because it’s like a mini-jackhammer pulsing away directly on the site of injury (ouch! ), but also because, in just a few treatments, clients everywhere are seeing serious results. I was one of the many health professionals that did not fully believe it, or even support the claims. I remember always saying that it is a fad modality that will lose it’s steam and show up in As-Seen-On-TV stores. But I was wrong! There was one glaring thing I could not deny, people were getting better, singing the praises, and it even worked on friends of mine and previous clients that (every now and then) I couldn’t fully help with their injury. So when we opened Rehab1, we made sure we had this option for our clients, and we made sure to give it a fair chance to compare this treatment technique to the previous 10 years I had been treating orthopaedic injuries. Now to say that it has surpassed my hopes is an understatement. Each of the Physiotherapists and Chiropractors that use shockwave at Rehab1 will all attest to the improved outcomes on numerous conditions and injuries that you will find out below. We love it so much we actually have 3 Shockwave machines with our Rehab1 clinics. Shockwave therapy is a non-surgical modality used to treat localized musculoskeletal pain. It uses acoustic waves generated at a high frequency and a high pressure, using compressed air. These waves are transmitted to muscles, tendons and ligaments through the sound head. When these waves are transmitted into the tissues, it creates a localized inflammatory response. This means that there is increased blood flow to the area that is treated which helps encourage healing. Shockwave therapy can also break up scar tissue and adhesions. What conditions/injuries can to help with? Shockwave therapy can be used to treat many conditions but one of the most common conditions that is treated with shockwave therapy are tendinopathies. A tendinopathy occurs in a muscle tendon, which attaches muscle to bone. A tendinopathy occurs with the overuse of a certain muscle causing degeneration and microscopic tearing of the tendon over time. This can cause pain and limit someone’s function. Some examples of common tendinopathies that are seen are Achilles tendonitis, tennis elbow, golfer’s elbow, rotator cuff tendonitis, patellar tendonitis and plantar fasciitis. Shockwave therapy can be used to promote healing and break up scar tissue build up for people suffering from any of these conditions. At Rehab One Performance Center, we use shockwave therapy with many of our patients to treat their various tendinopathies. If you have questions regarding shockwave therapy or are wondering if it is appropriate for you call us at 854-1151 to see one of our experienced professionals!